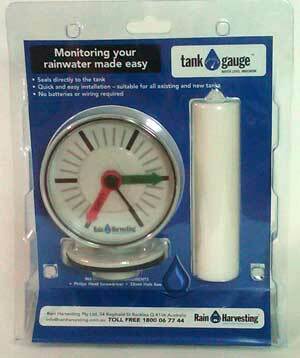 Monitoring your rainwater made easy! 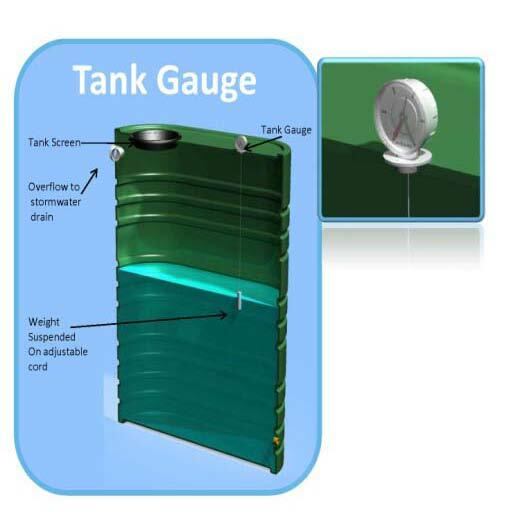 The RainHarvesting Tank Gauge™ is a water level indicator that is simple and easy to install. Suitable for all vented tanks up to 100" in height. Features an easy-to-read display dial and utilizes a weight float, suspended on a string line to provide accurate readings. Gauge is fitted to the tank via two screws provided.